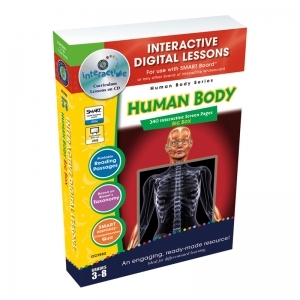 Find the answers to some of the most common questions about the human body with our engaging and highly interactive 80 screen page digital lesson plan. Students will continue on their journey of the human body with a look at the main parts of the nervous system and how each one works. Next, students will explore the organs of the 5 senses. Then, finish off with a trip around the respiratory system. Using any brand of Interactive Whiteboard, you will be able to create an opportunity for students to get more involved in the lesson. Each ready-made screen is complete with reading passages, before and after you read interactive activities, test prep, memory match game, crossword, word search, and even supporting video & audio. All of our content is aligned to your State Standards and are written to Bloom's Taxonomy. Find out how blood travels through the body and how a baby is made with our engaging and highly interactive 80 screen page digital lesson plan. Finish up your journey through the human body by traveling through the veins and arteries as red blood cells. Stop off at the heart before moving on to the stomach to learn how the food we eat turns into fuel for the body. Then learn how the kidneys and intestines work to remove harmful waste from the body. Finally, discover how a baby is made by following the stages of development. Using any brand of Interactive Whiteboard, you will be able to create an opportunity for students to get more involved in the lesson. Each ready-made screen is complete with reading passages, before and after you read interactive activities, test prep, memory match game, crossword, word search, and even supporting video & audio. All of our content is aligned to your State Standards and are written to Bloom's Taxonomy. 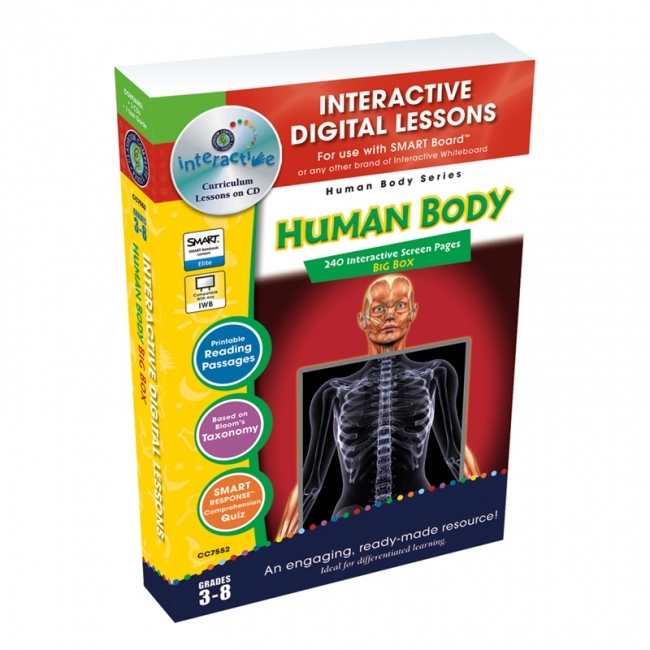 Explore the six major systems of the human body with our engaging and highly interactive 240 screen page digital lesson plan. 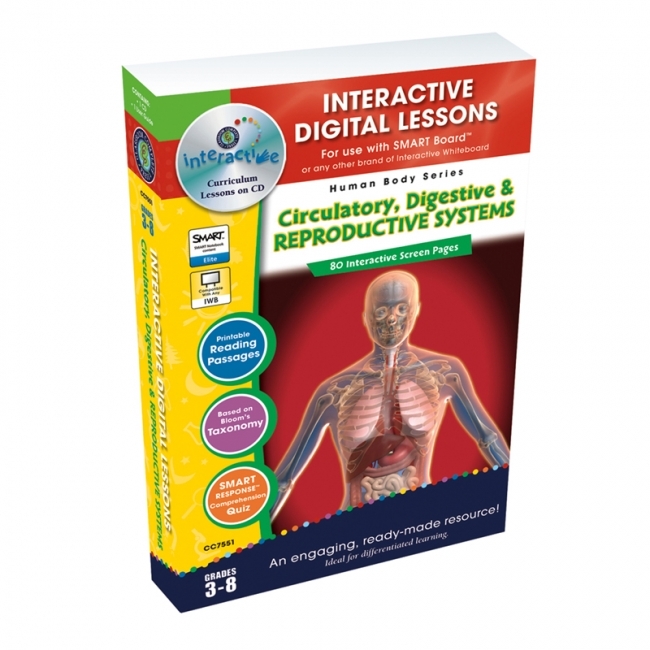 Combining the 3 digital lessons in this series, students will gain a clear understanding of how the six major systems of the body work together cohesively to create a complex working system known as the human body. Start with a single cell and watch it grow into organs and organ systems. Follow the skeletal and muscular systems or take a ride along the nervous system. Finish up with a journey through the veins and arteries to the heart. Using any brand of Interactive Whiteboard, you will be able to create an opportunity for students to get more involved in the lesson. Each ready-made screen is complete with reading passages, before and after you read interactive activities, test prep, memory match game, crossword, word search, and even supporting video & audio. All of our content is aligned to your State Standards and are written to Bloom's Taxonomy. 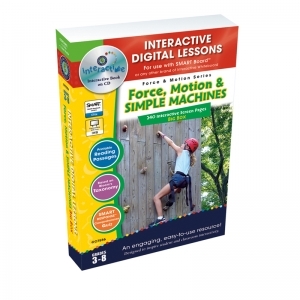 Explore the concepts of force, motion and machines with your students with our engaging and highly interactive 240 screen page digital lesson plan. Combining the 3 digital lessons in this series, Force, Motion and Simple Machines, students will gain a clear understanding of how movement works in the world around us. Students begin by exploring the different kinds of forces that work on contact and at a distance. Then, students move on to finding out how linear, accelerating, rotating and oscillating motion relates to everyday life. Finally, students finish up the lesson by learning how simple machines work together to create compound machines. Using any brand of Interactive Whiteboard, you will be able to create an opportunity for students to get more involved in the lesson. 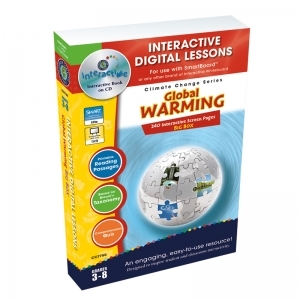 Each ready-made screen contains reading passages, before and after you read interactive activities, test prep, memory match game, crossword, word search, and even supporting video & audio. All of our content is aligned to your State Standards and are written to Bloom's Taxonomy. 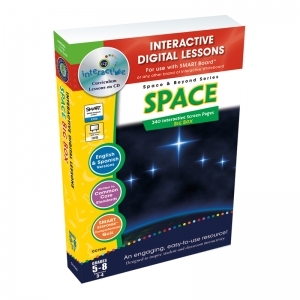 Enhance your student's learning experience with our engaging and highly interactive 80 screen page lesson plan. Create an opportunity for your students to get more involved in the lesson by using your classroom Interactive Whiteboard. Each ready-made screen offers reading passages, before and after you read interactive activities, test prep, crossword, word search and even supporting video & audio. 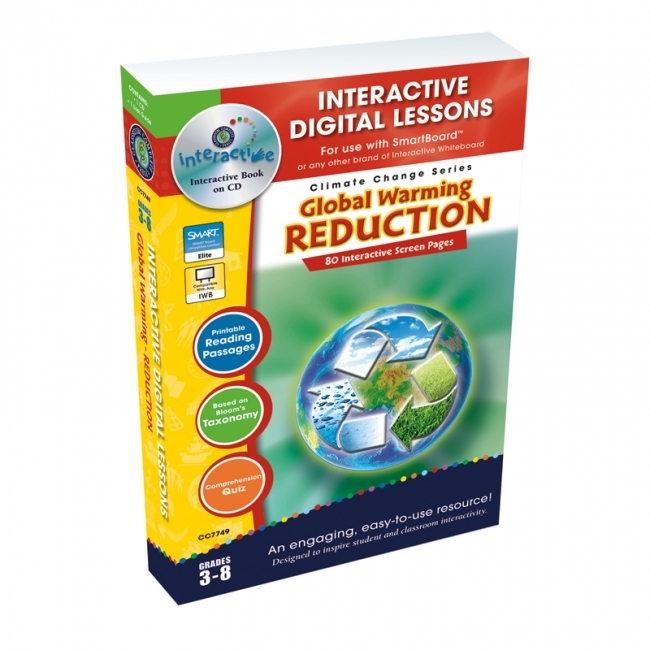 Provide your students with an insight into the science of our atmosphere and the effects of humanity's actions on the Earth System in a fun and innovative way. Help students make informed decisions about products and lifestyle choices that affect the Earth System by exploring the subject of Global Warming with interactive content. The makeup of the earth's atmosphere as well as the common types of greenhouse gases are explored in a unique way that allows students to get involved while discovering the natural and human-related causes of Global Warming. All of our content is aligned to your State Standards and are written to Bloom's Taxonomy. 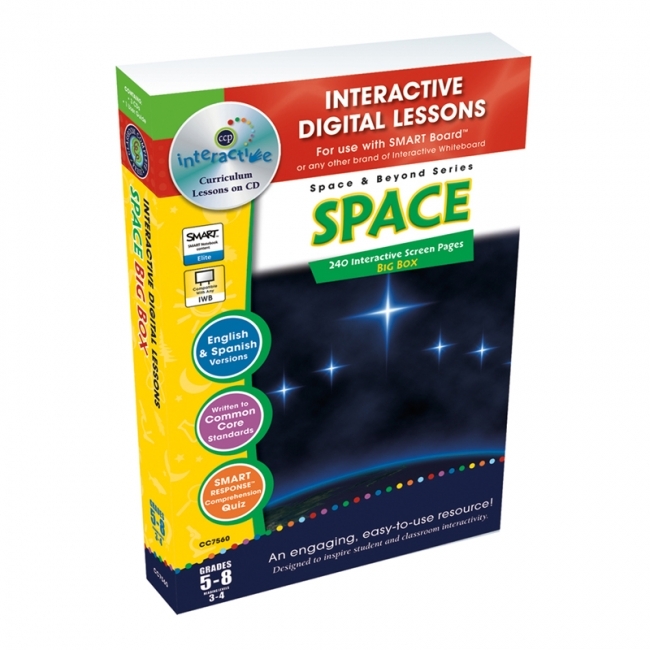 Enhance your student's learning experience with our engaging and highly interactive 80 screen page lesson plan. Create an opportunity for your students to get more involved in the lesson by using your classroom Interactive Whiteboard. Each ready-made screen offers reading passages, before and after you read interactive activities, test prep, crossword, word search and even supporting video & audio. Advocates and skeptics of Global Warming will both benefit from this valuable resource as we look at creative ways to reduce human consumption and output, all in an effort to help clean up our planet and reduce operating costs. We explore alternative fuel solutions and non conventional sources of power, new transportation methods and eco-friendly urban planning methods, increased energy efficiencies and renewable energy, "Green" buildings and examples of countries efforts to reduce the carbon output. All of our content is aligned to your State Standards and are written to Bloom's Taxonomy. 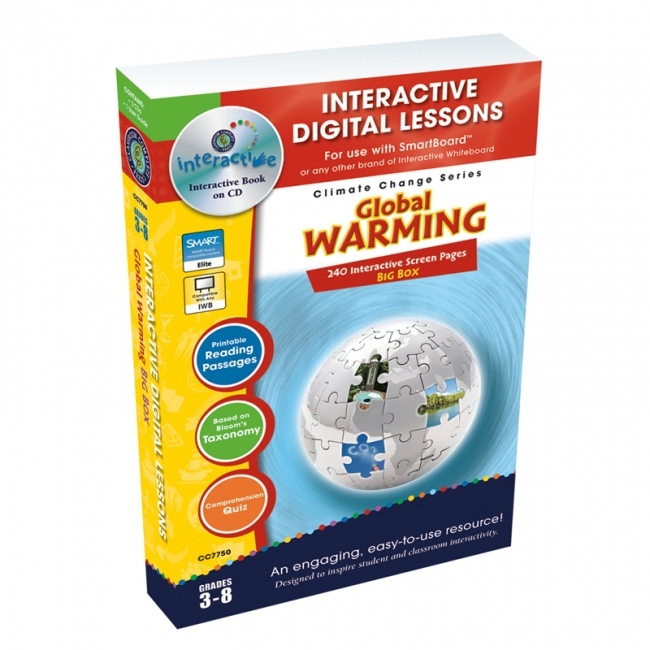 Enhance your student's learning experience with our engaging and highly interactive 240 screen page lesson plan. Create an opportunity for your students to get more involved in the lesson by using your classroom Interactive Whiteboard. Each ready-made screen offers reading passages, before and after you read interactive activities, test prep, crossword, word search and even supporting video & audio. What is causing Global Warming? What are the effects? What can we do to stop or reduce Global Warming? 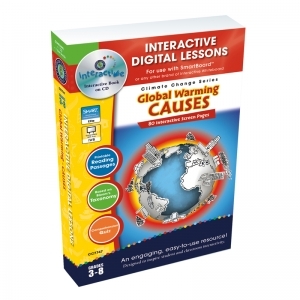 We take a critical look from a scientific perspective that will help students separate fact from fiction in popular accounts in order to make informed decisions about products and lifestyle choices that affect the Earth system. We also look at rising sea levels and altered patterns of weather and agriculture. Finally we look at creative ways to reduce human consumption and output, all in an effort to help clean up our planet. All of our content is aligned to your State Standards and are written to Bloom's Taxonomy.